Have you heard about roof coatings? This type of roof protection seems to be one of the biggest buzzwords in the industry. There’s a lot of talk about roof coatings, but too little information about what they are, how they work and if they even work at all. Read on as we shed some light on this increasingly popular technique. A roof coating is exactly what it sounds like. This membrane is an added layer adhered to the roof’s surface. The coating creates a barrier between the roof and outside elements. Roof coatings are typically applied to new, residue-free roofs. After application, a primer may be added. Roof coatings have recently become popular with homeowners who want to live more sustainably and extend the life of their roofs. The main purpose of a coating is to protect your roof so it can do a better job of protecting your home. That includes reducing exposure to elements like rain, wind and sun damage. This extra barrier is designed to combat some of the most common types of roof damage. They’re also part of the eco-friendly movement. The idea is that roof coatings mean fewer replacements and repairs. In turn, fewer construction materials are used, and even fewer leftover materials wind up in landfills. Some roof coatings reduce the temperature of your home. With energy saving benefits, you may spend less on cooling costs and help the environment at the same time. Roof coatings are often described as a wise investment for savvy homeowners. With the added barrier, you may save money on repairs and replacements in the long run, allowing you to get more out of your investment. Finally, you can reduce the amount of time and money you need to spend on maintenance. However, this isn’t a set it and forget it kind of thing or a cure-all. All roofs require maintenance and will need to be replaced eventually. There’s no roof coating material that can change that. Like a lot of home maintenance-related tasks, it depends on how you get the job done. 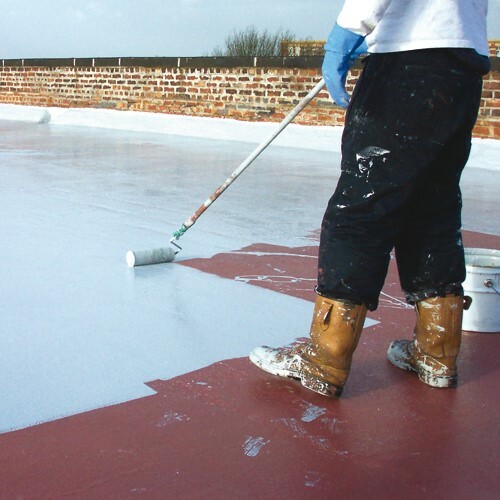 Roof coatings are an investment and require expertise to achieve the full benefits. Unfortunately, with the popularity of coatings on the rise, more unreputable individuals have popped up, presenting the technique as a forever fix. These people may try to sell you on roof coating as the answer to never having to replace your roof again. That’s simply not the case. However, it is possible to make sure you get the most out of your roof coating. Consider craftsmanship first and foremost. If your contact is trying too hard to make a sale or proclaiming things that sound too good to be true, forget it. Instead, look for a team that’s experienced in the process and knows what you need (or if you’re a viable candidate for roof coating at all). Ask to see their license, insurance information and portfolio. Get the details on any warranties provided by their business or the manufacturer. What works for your neighbor’s roof may not work for yours. The coating depends on the climate, your home’s structure, the type of roof you have and the desired final appearance. You’ll find there is a variety of coating materials including acrylic, polyurethane, silicone and PVDF. A good roofing contractor will be able to work with you to find the right material for your situation. For all your roofing needs, contact Juneau Odenwald Roofing. Our team of trained and experienced roofers will be more than happy to assist you in finding the perfect roof coating option for your home.